Radiation is Cool and Who Stole My Body? Well, well, well. Look who’s come crawling back for more. Didn’t you have enough last time? What’s that? This is the first time you’ve ever actually been here? Whoops, my bad. I should have figured it out by the hit counter though. I’ve probably got the only hit counter on the web that’s actually going backwards. 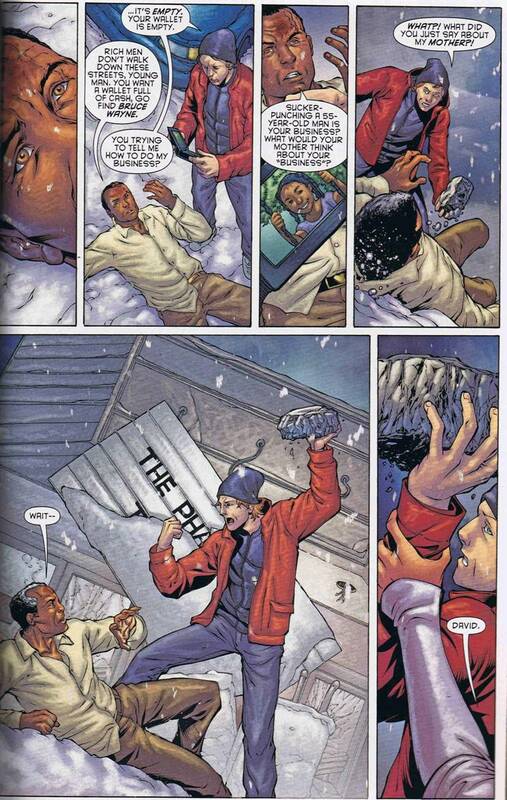 First up, taken from Batman 80-Page Giant #1 which is still on newsstands everywhere, assuming newsstands still exist. Otherwise find a comic shop. 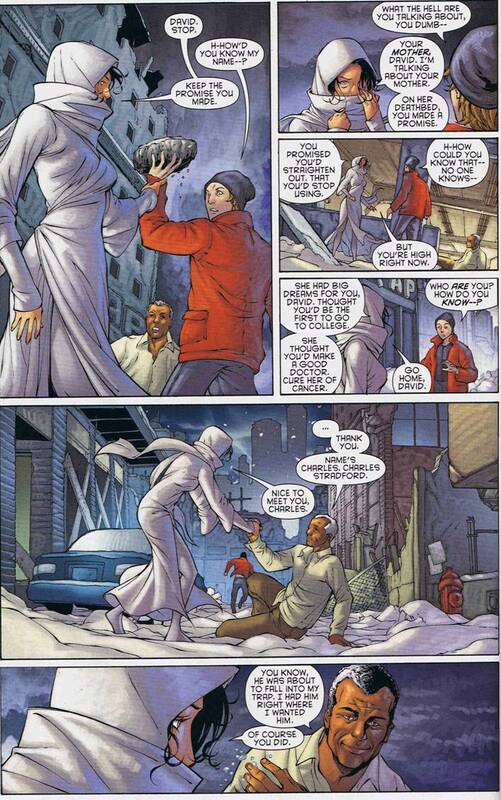 This was a winter themed issue featuring many of Batman’s back-up characters in individual stories, among them a relatively new character, the Veil. Who is the Veil? 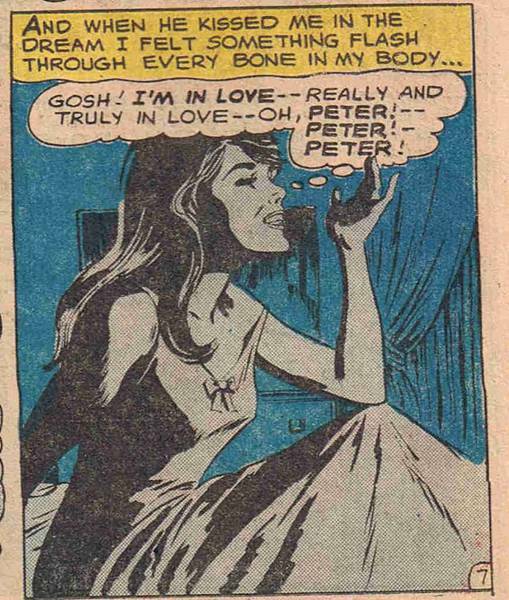 Well, I guess you could read the story and find out… or this one line I’m about to write about her. She was a well known actress who had her face scarred by a Two-Face imposter and now she can see “visions” of events that the city shows her. Yeah, I know, a Two-Face imposter, not the actual Two-Face. 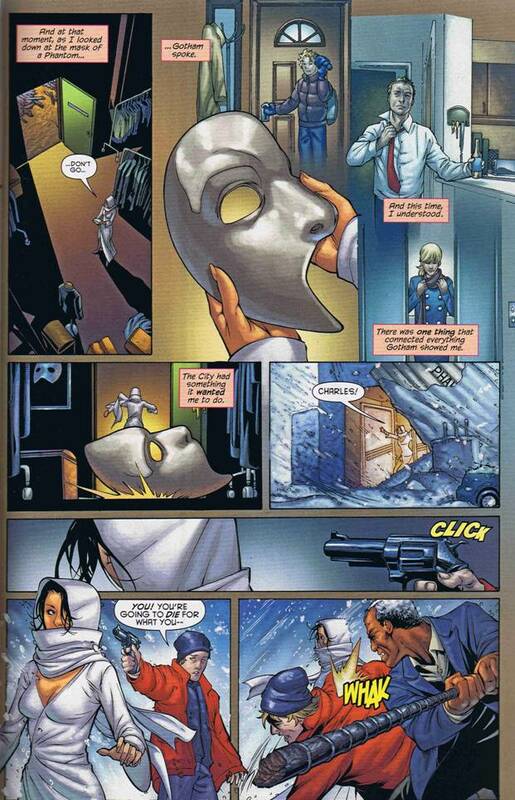 Why a Two-Face imposter, you ask? Because the actual Two-Face can’t be everywhere, I guess. Let’s join our story as a mugging is taking place outside the Veil’s haunts. Will she intervene? 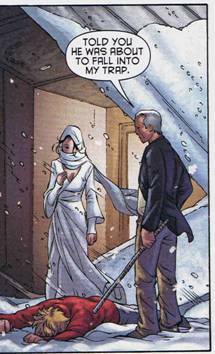 Well, yeah, of course she’s going to intervene, otherwise we’d have a pretty short story here. So, how does she stop David from doing a grave misdeed? Kind of a short lived friendship there. You know, Charles has a point. Most cases all she’d have to do is make an anonymous tip to the cops, she wouldn’t even have to leave the dilapidated theatre she calls home. Heck, cellphone service is so cheap nowadays, and she must have some cash stashed away to survive. I mean, how else could she survive? Eat rats she catches in the theatre? Just saying. Uhm, okay. 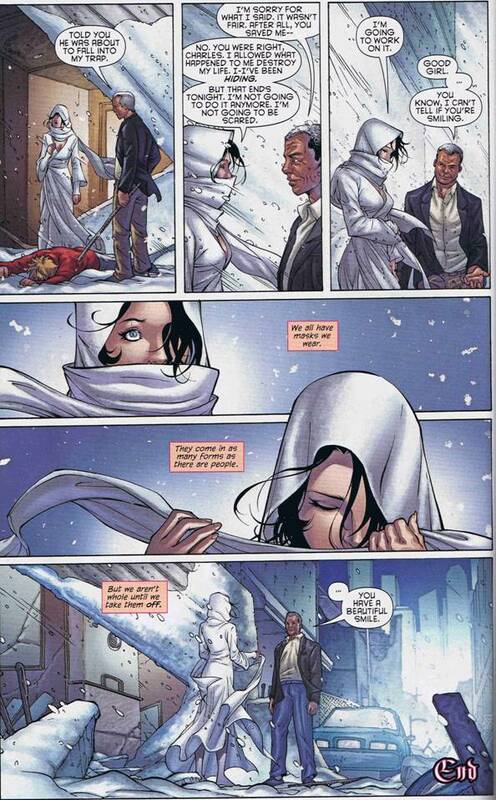 I’m sure it’s a profound moment, Veil revealing her face and all, but they JUST LEFT A MAN FACE DOWN AND UNCONSCIOUS IN THE SNOW while enjoying their little chat. Isn’t it disturbing watching good, honest people walk down the crooked path? Let’s introduce some light material to get us up and out of the gutter. 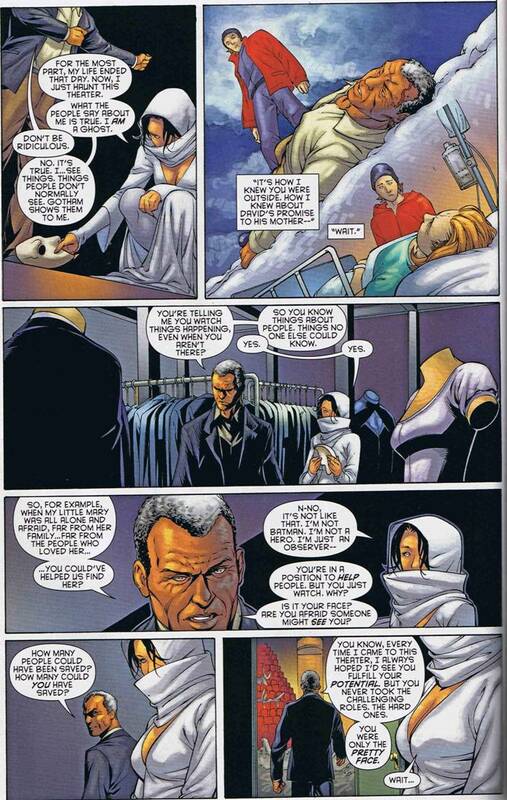 I know, how about something on nuclear radiation from the Unexpected #157? Ah, the 1950s, what a wondrous time! A time when you can have HIGH LEVEL RADIATION EXPERIMENTS RIGHT NEXT TO A PARK WHERE CHILDREN PLAY! And the wondrous security these places had! That unlocked gate is amazing, sure to keep those pesky spies and saboteurs at bay! Sure it can’t keep out a kid, but most spies and saboteurs aren’t kids WHO CAN’T READ ENGLISH KEEP OUT SIGNS so we’re okay! If that makes sense to you then congrats, you’re qualified to operate in high-level security for the Eisenhower era! God bless you! And is it just me, or doesn’t it look like the man in the radiation suit is leading the kid back into the dangerous radiation area? Ah, Johnny, Johnny, Johnny. What horrible fate awaits you? Death by radiation poisoning? Cancer? Stunted growth? 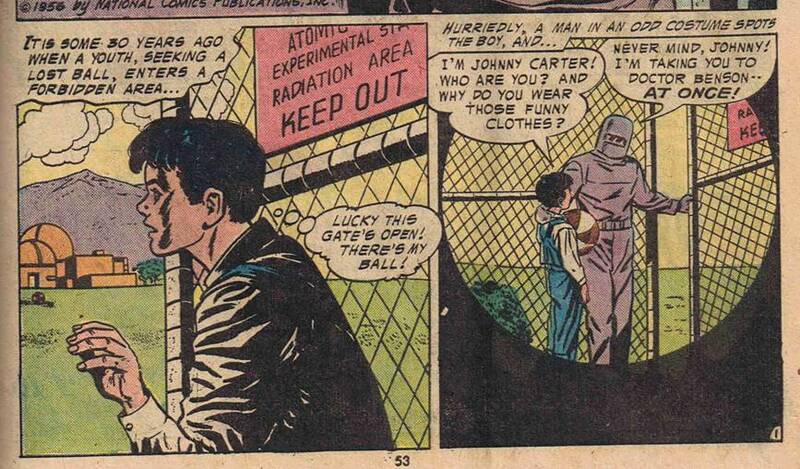 Oh yeah, this being the 1950s, radiation exposure meant Johnny would either become a gigantic monster, or develop some weird power, in this case mind reading. Lucky kid. And incredibly, the operators of the nuclear facility just let the kid go, probably through the same KEEP OUT gate he came in. 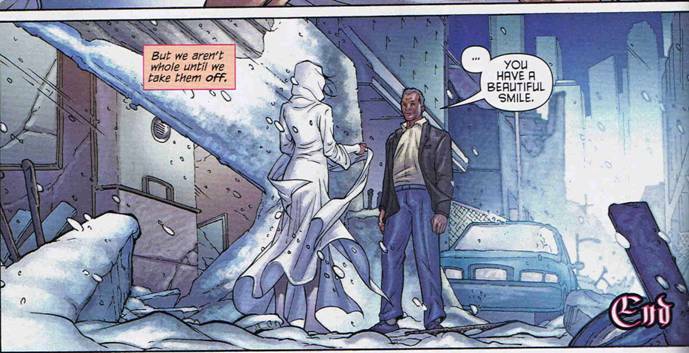 You’d think they’d have wanted to take some action so Johnny wouldn’t reveal the best way to bypass their high-tech security system, but nah. Remember, in the 1950s anyone could be a lousy, stinking Red. Your neighbor, your teacher, your mom and dad, even YOU, you lousy, stinking Red! Why, one of Johnny’s friends is wearing a red hat and shirt!!! Alert the CIA!!! And why’s the doctor’s stethoscope hooked up to a box? Listening to the radio? 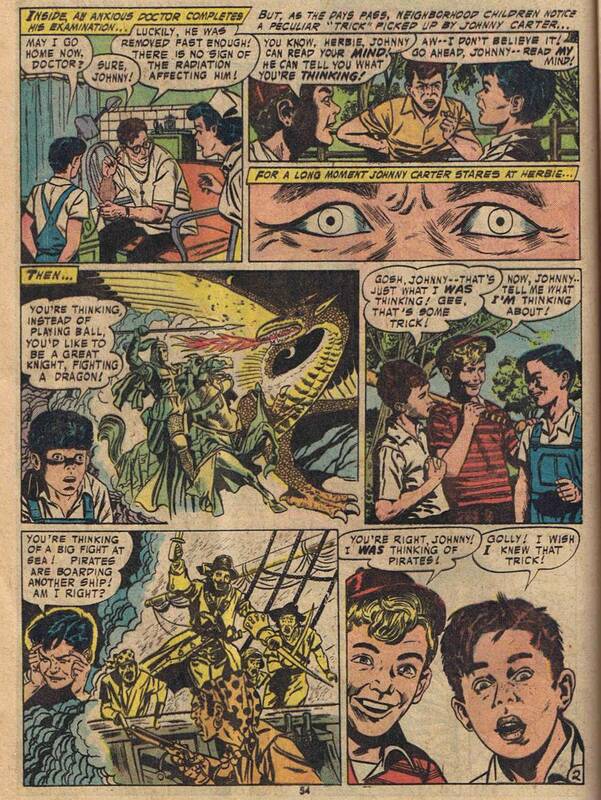 All things considered, I think Neal Adams got off pretty easy. 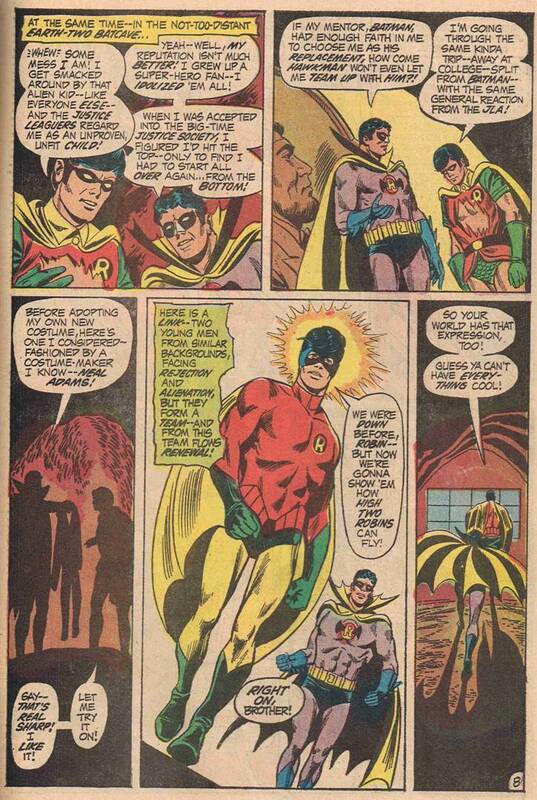 Yes, Neal Adams, costume maker extraordinaire! Uhm, yeah… Until next time!